For a long time in Russia, our ancestors were fond of quail and cook him wonderful meals. 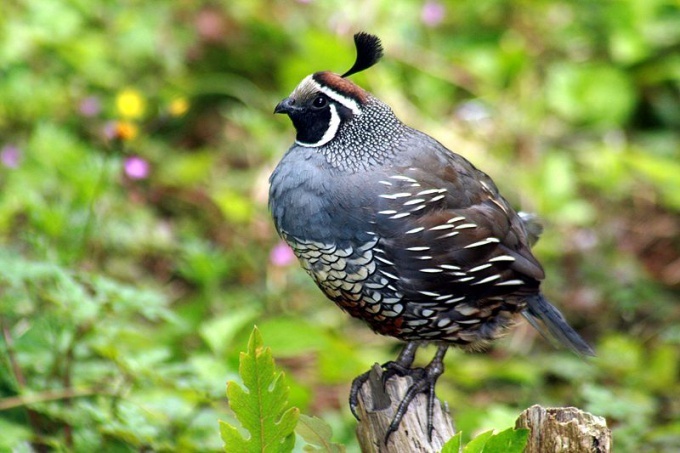 The birds were caught while hunting, at the present day, the breeding of quail – it is quite profitable. Five females give a eggs by weight exactly the same as gives one hen. It is worth considering that quail are growing three times faster than chickens and the feed consumed is much less. To contain the birds is quite simple, one only has to consider certain rules. For keeping and breeding the birds need the room in which the temperature must be maintained throughout the year about 17-22 ° C and relative humidity of 60-70%. If the number of birds up to 20 pieces, place their content can be any area of a private home or apartment where you can place a cage the size of 40x60 inches. If the number of quail from 500 to 1000, need a room, measuring 15 square meters where you will need to set up to 10 cell batteries. You will also need storage space for feed, placement of the incubator and keep the young. In order to obtain a stable quail eggs, you need to choose the breed of birds with high egg production. For this purpose, suitable blue marble, egg tuxedo, Manchurian Golden and white English. If the main purpose is to obtain meat of quail, then you need to choose a meat breed, such as the Pharaoh. Cells, which will contain quail can be done by hand. For this you will need plywood, galvanized mesh, galvanized sheet metal and fittings. It is worth considering that in one battery is about 100 quails. The floor of the cages should be covered with litter, hay or sawdust. Raising quail requires daily care. Is cleaning the litter, feeding, egg collection and examination of birds. It is important to maintain optimum temperature and humidity, to cook food and to sit a bird on the growth of young animals. And, of course, if the poultry is grown for meat, to slaughter and butchering of the birds, it takes a lot of time. Because quail are not equipped for hatching eggs, you will need an incubator. If you are not able to purchase such a machine, you can buy young quail from manufacturers. In this case, the care of the birds much easier. Quail just like chickens love to bathe in dry sand. It should be considered in their content, periodically put a small tray of dry sand, the thickness of which should be 5-7 inches. Feed the birds need twice a day egg food, crushed grain or greens. Don't forget to set the drinker.